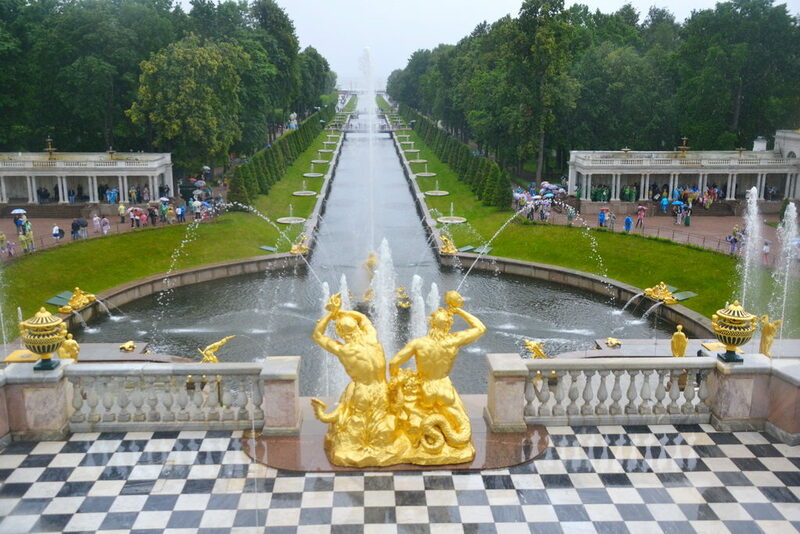 World-famous Peterhof’s fountains were put into operation on April, 23. Official opening will be held on May, 21, but guests can visit the museum right now with all amenities and museums available. Please, note, that this year entrance prices will be higher than last year. The fountains started to work last weekend. In practice, this means that the museum complex which consists of several museums and parks is open to visitors in full scale. to enter museums. Visiting museums means that you also pay for entering parks. The most popular among the parks is the Lower Garden which is quite enough for enjoying Peterhof. Here the Great Cascade of fountains and the Great Peterhof palace are located. The Great Cascade features 64 fountains and 256 bronze statues. *Eligible for discounted prices or free admission are: Veterans of the WWII, ICOM UNESCO employees; children under 16 (identification document with birth date needed). Official fountains opening ceremony is scheduled for May 21 at 13.00. This will include a historical performance that will take you to the times of the XVIIIth century accompanied by a military orchestra. Our advice here is that if you’re going to attend the event, mind the weather since on a rainy day visiting Peterhof is likely to bring you more displeasure than pleasure. About getting to Peterhof you can read here.